This was yet another recipe that I found on Pinterest. The original site is here. One word to describe this bread is WOW! We loved it! 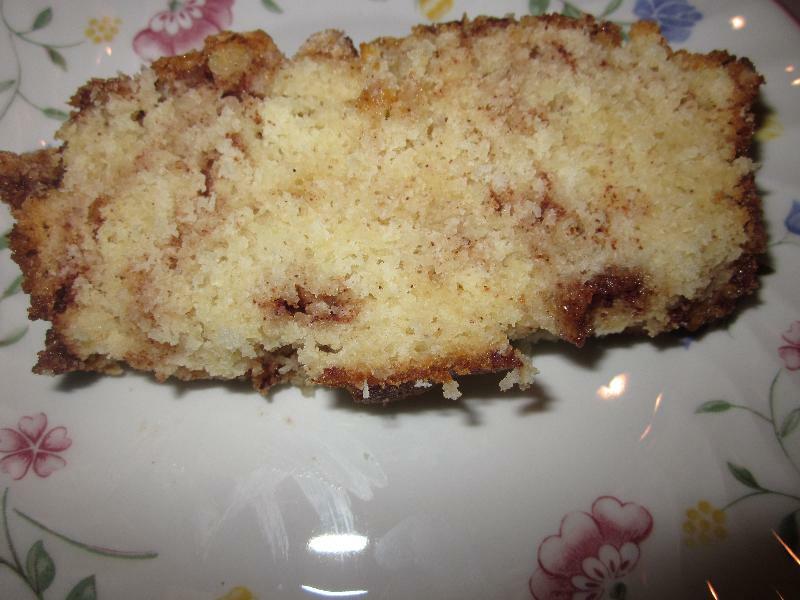 It was perfect as a sweet breakfast bread and also a snack at night, okay anytime of the day! I can't wait to make this again. This bread did not last long in our house! Another great thing about this bread is that all the ingredients are things that you probably already have on hand. Combine the following ingredients in a large bowl - flour, baking powder, salt, and one cup of sugar. Add the egg, milk, and oil to the flour mixture. Pour half of the batter into the pan. Then sprinkle the batter in the pan with cinnamon and 1/3 cup of sugar. 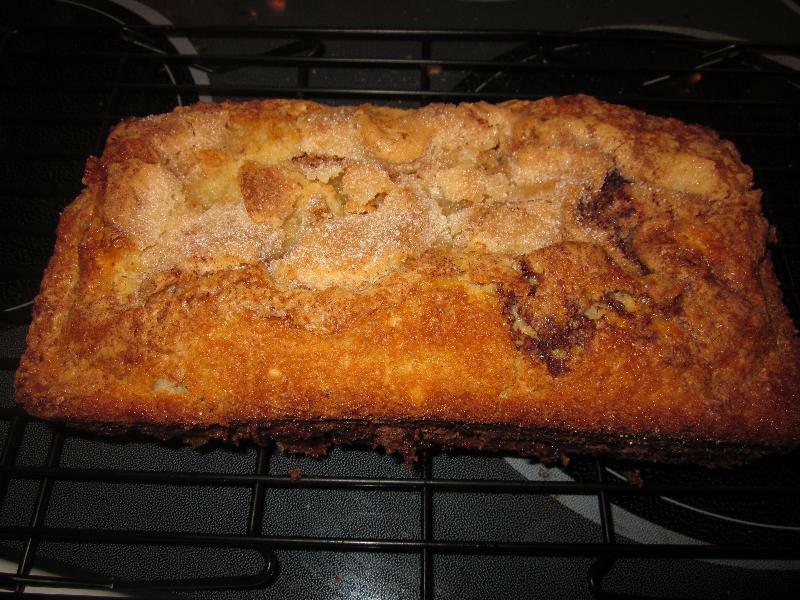 Top with more cinnamon and sugar. Allow the loaf to cool in the pan for 10 minutes. Next remove it to a wire rack so it can cool completely.